Many of the drivers who are arrested for driving under the influence in the Los Angeles area are college students attending universities such as UCLA, USC, Caltech and the various Cal State universities. Law enforcement agencies recognize that a considerable amount of drinking occurs in and around college campuses and are always vigilant for drivers who may be under the influence of drugs or alcohol. Many of these universities have their own dedicated police forces that generate high numbers of DUI arrests on any given weekend. For most college students, being arrested and taken into jail for a DUI offense is a completely foreign experience that is extremely stressful. Most people arrested for DUI are released the next day and provided with a notice to appear that may be months away. However, it is important to speak with a knowledgeable and experienced Los Angeles DUI Lawyer immediately, as there are critical deadlines that cannot be missed. Upon being arrested for DUI, the police will provide the driver with a notice of an impending driver’s license suspension and a temporary license. This suspension will become effective in 30 days unless the driver requests an administrative hearing. An effective DUI Attorney can ensure that the proper paperwork is submitted to the DMV and that no deadlines are missed. College students who are under the age of 21 face a potential yearlong driver’s license suspension, during which they would be unable to obtain a restricted license. Additionally, for drivers under the age of 21, having any measurable amount of alcohol (0.01 percent or higher) is enough to trigger a yearlong driver’s license suspension. The DMV hearing is held by a hearing officer employed by the DMV who is neither a judge nor an attorney. The driver is allowed to be represented by counsel, which is highly recommended when fighting these allegations. In addition to a potential license suspension, college students would also face criminal charges for driving under the influence. In the majority of cases, an attorney would be able to make court appearances on his client’s behalf so they would not have to miss class in order to attend court. If convicted of DUI, a defendant’s sentence can include various terms and conditions of probation, including fines, potential jail time, community service or community labor hours, restitution if applicable and other programs. For younger DUI offenders, judges and prosecutors often want the defendant to complete the Hospital and Morgue (“HAM”) program and the MADD Victim Impact Panel (“VIP”). These programs focus on the tragic consequences of drinking and driving offenses. Many college students want to know about DUI convictions and what type of effect a conviction may have on future employment opportunities. Most DUIs are misdemeanor offenses and certain professions and licensing agencies may be concerned about applicants who have DUI convictions on their records. 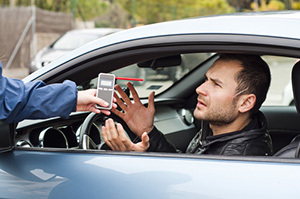 A DUI conviction would have to be disclosed as part of the process to become an attorney in California and doctors and nurses also may face increased scrutiny as the result of a DUI conviction on their record. Any student who is considering going into one of these professions should pay special attention to what consequences a DUI conviction may trigger. If you or a loved one is a college student who was arrested for DUI, it is imperative that you discuss your case with a Los Angeles DUI Lawyer right away. Los Angeles DUI Attorney Michael Kraut is a former Deputy District Attorney with over 14 years of prosecutorial experience who possesses an in-depth knowledge of DUI law and is highly respected throughout the court system as a fierce litigator who does not back down from a challenge. For more information about Los Angeles DUI and college students, and to schedule your free consultation, contact Los Angeles DUI Lawyer Michael Kraut at the Kraut Law Group located at 6255 Sunset Boulevard, Suite 1480, Los Angeles, CA 90028. Mr. Kraut can be reached 24/7 at 888-334-6344 or 323-464-6453.